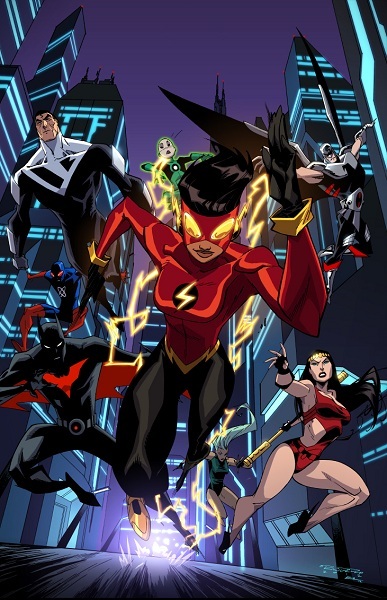 Justice League Beyond writer Derek Fridolfs writes about “Flashdrive” and the future Flash over at his blog. Inspiration for the character came from race car driver Danica Patrick and Olympic runner Rafer Johnson. 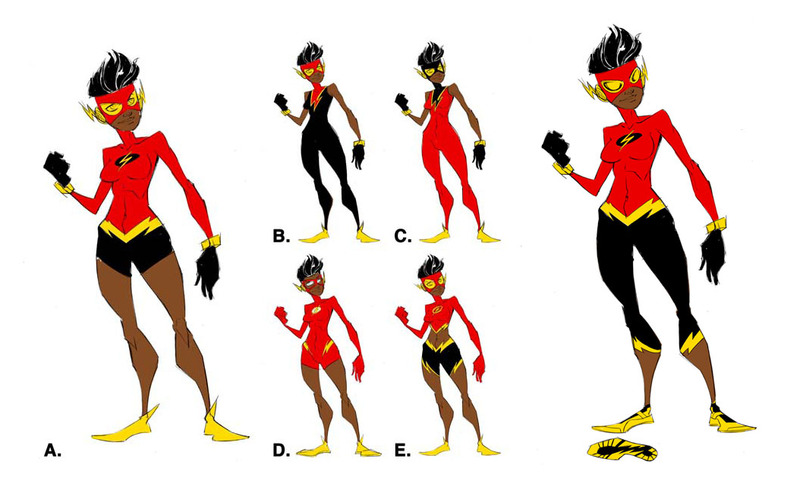 Fridolfs also talks about the costume design process, Flash fans (who us? ), and how to fit Flash history into the established Justice League Unlimited/Batman Beyond continuity. Fans clamoring to know more about Dani will get a chance to see her back story told in an upcoming “Beyond Origin”. It was a fun way to show where she grew up and traveled to around the Beyond Universe, as well as explore the legacy of the Flash and how she’s able to hear all the voices of the previous Flashes. I even created some new villains in there as a possible back-door “pilot” if she got her own series or more stories to help flesh out her world. But at this stage, I’m kind of doubtful it’ll ever happen. I’ll certainly be keeping an eye out! Head over to Derek Fridolf’s blog to read the whole article. 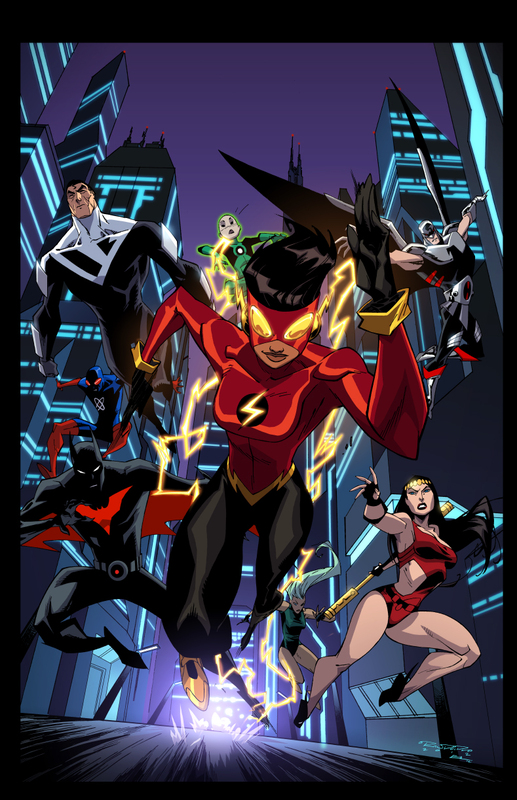 This entry was posted in Flash News and tagged Danica Williams, Derek Fridolfs, Justice League Beyond on May 9, 2013 by Kelson.